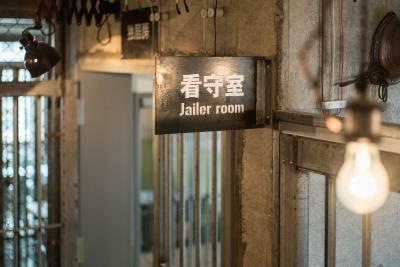 Lock in a great price for Okinawa Prison – rated 8.8 by recent guests! Besides the unique theme of the hostel, the bunk beds were unbelievable comfortable. The place was spotless. The staff were friendly and helpful. The location was perfect. Right next to the monorail to get to the airport and also right on the busiest street in Naha. Value was amazing for 2 of us to have our own cell. Absolutely zero complaints! The price and location were ideal for exploring Naha. It was across the road from the monorail station and on the main road with most of the shops and restaurants. There is a place close by to rent a car that you can pay with cash too. 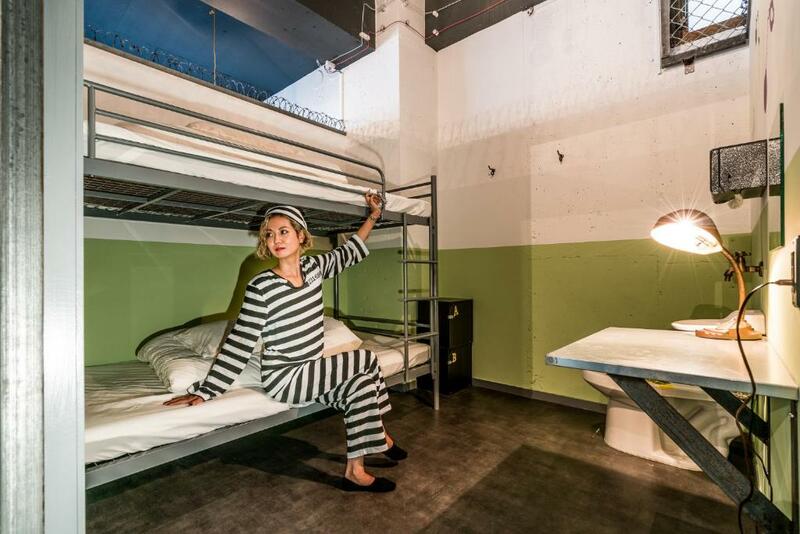 In the hostel you could tell a lot of thought was put into it to get the prison theme. 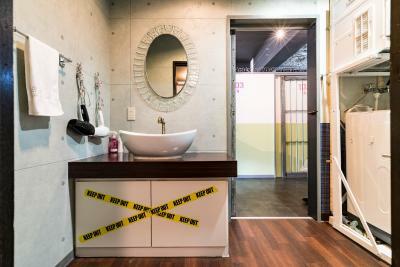 It was really clean and well furnished with all the prison accessories! The uniform pajamas were really cool and comfy and included in the price. We got 2 beds in a room on our own dorm. The dorm had its own fridge/kitchen and 2 bathrooms. They had a lot of nice beauty products in the bathroom that were a nice touch. The beds were really comfortable and didn't rattle. I'm glad there was a blind you could pull down over the bars on your bedroom door too for privacy. All of the staff I talked to were really fun, friendly and helpful. The bed was hard and it's really good for my back and ease the muscle pain after a good nights sleep. Showers are strong. Comfortable bed, pillow, and blanket. Staff are extremely friendly and helpful. 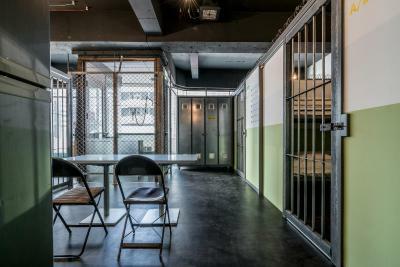 Okinawa Prison This rating is a reflection of how the property compares to the industry standard when it comes to price, facilities and services available. It's based on a self-evaluation by the property. Use this rating to help choose your stay! 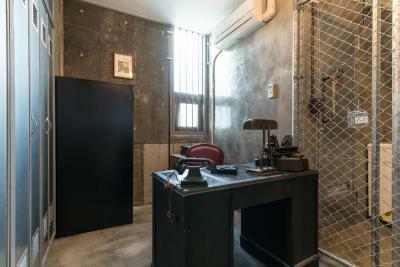 Featuring a prison-themed decor, Okinawa Prison offers air-conditioned accommodations in Naha. Boasting a shared kitchen, this property also provides guests with a sun terrace. The accommodations provides a shared lounge and free WiFi. 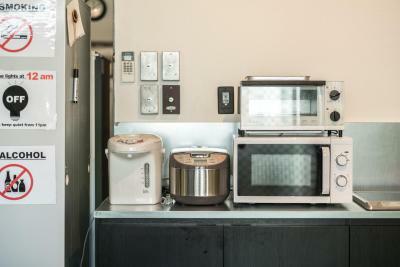 Certain rooms come with a kitchenette with a microwave. The units will provide guests with a toaster. 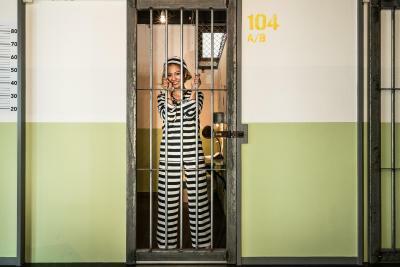 A prison uniform costume for women can be rented free of charge. 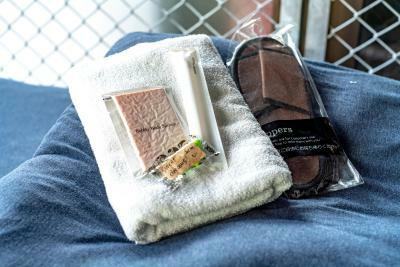 Guests can sample American-style dishes at a prison-themed on-site restaurant. The hostel provides a laundry service, as well as business facilities like fax and photocopying. Tamaudun Mausoleum is 1.4 mi from Okinawa Prison, while Yachimun Street is 1,950 feet away. Naha Airport is 3.1 mi from the property. 뀐 Located in the real heart of Naha, this property has an excellent location score of 9.2! 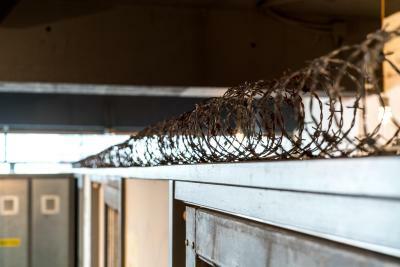 When would you like to stay at Okinawa Prison? 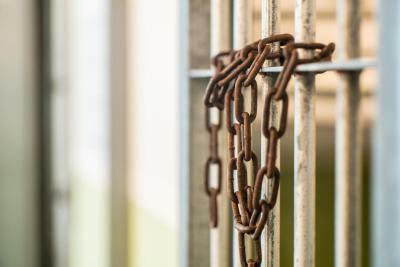 House Rules Okinawa Prison takes special requests – add in the next step! Okinawa Prison accepts these cards and reserves the right to temporarily hold an amount prior to arrival. The front desk is not always open, so you must inform the property in advance what time you plan to check in. If your check-in time changes, please update the property. The contact information can be found on the booking confirmation. Please inform Okinawa Prison of your expected arrival time in advance. You can use the Special Requests box when booking, or contact the property directly using the contact details in your confirmation. If your neighbours lights are on, you can see the light or if they make noise you can hear them but it did not bother me at all. The air-con temperature was a little too high to sleep. I was sweating a little during the night. 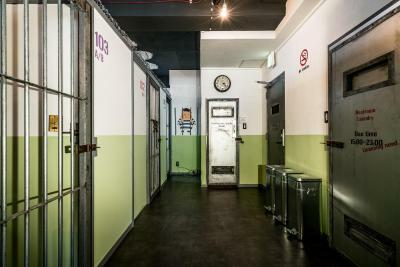 I understood the rooms were open and not soundproof, but sometimes it was difficult to sleep if people were talking loud, cooking or when the staff were cleaning. We were very tired and needed to nap before dinner but we couldn't. In the morning we were woken up by the hairdryer. I don't think it can be helped though. Easy to hear sounds from outside of the room. My friend on the top bed couldn't sleep well because of the sound and light in the common area. The room is not completely private. The beds were super comfy here! 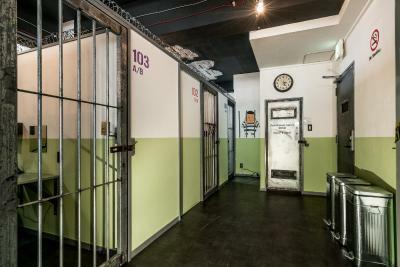 And the theme of the hostel is really fun but the facilities are all still great! 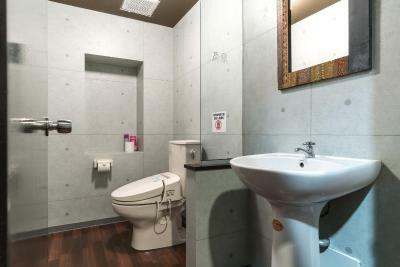 Location is right on Kokusai Dori so very close to many shops, restaurants and the monorail. 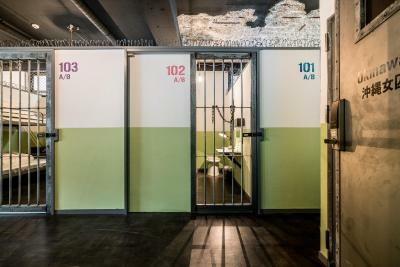 I love the whole design concept of this hostel. The location is very convenience. Staffs are very nice and helpful. Breakfast was amazing. 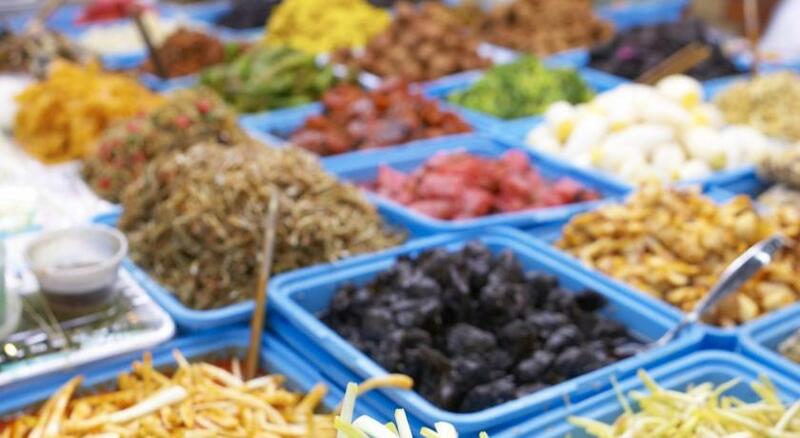 The staff was always friendly and helpful, facilities and rooms were always clean. The Prison theme gives the guesthouse a unique atmosphere! The beds are moving when you turn around or something and they are a bit noisy. The design is really interesting and we could take many funny pictures there. They have a really good cook and I'd totally recommend their black burger for dinner! Plus they give you prisoner outfits as well. 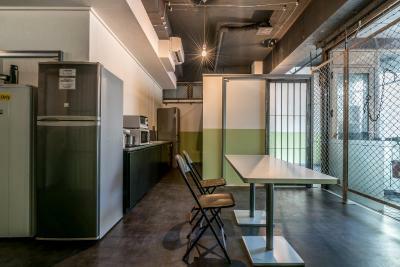 The living environment is comfortable,all the staffs are friendly,it's good to stay at here as it's really clean.Moreover,the meals are good to try,I've been having breakfast at there and it's really delicious! !